Based on the popular Marvel comic book character, this blockbuster film is classed as being the eighth installment of the X-Men movie series and stars Ryan Reynolds, who plays the fictional character hero Wade Winston Wilson, an ex Special Forces operative. When Wade is diagnosed with terminal cancer, he subjects himself to an experimental mutation treatment, which ends up giving him accelerated healing superpowers, as well as some severe scarring, hence the red-mesh costume that he wears to hide his disfigurements. Ryan Reynolds is great in this film and his character Wade says 'I'm no super hero, but when you find out that your worst enemy is after your best girl, the time has come to be a super hero!'. He becomes incredibly strong and considers himself to be quite indestructible, and soon becomes known as Deadpool. There is a fairly twisted sense of humour throughout the film, with some great lines such as 'Nobody's getting hurt' just before a body falls off a bridge. Other Marvel character appear in the film, including Ajax (Francis Freeman), Angel Dust, Negasonic Teenage Warhead and Colossus. Of course, as you would expect with a big budget film, the CGI special effects in Deadpool are extremely impressive and believable. 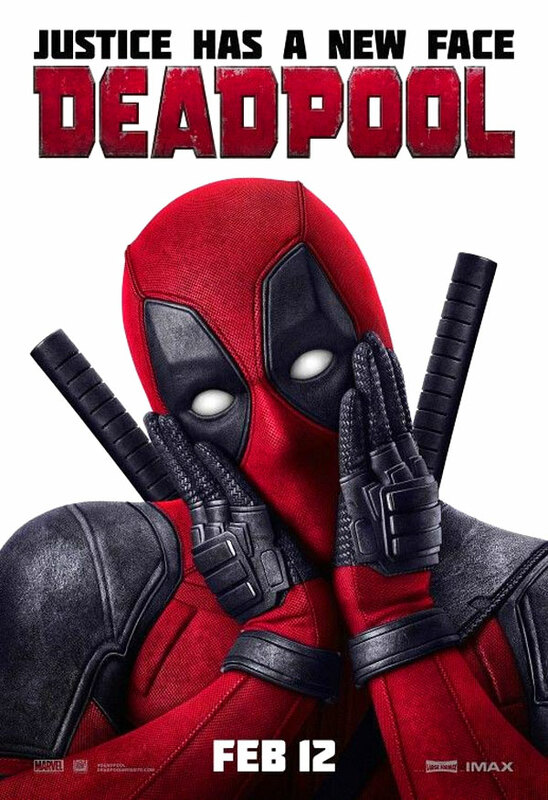 In a short scene after the credits, Wade Wilson appears and announces that there will be a sequel film features the comic book character Cable. There is no doubt that this is an epic film and worth of a sequel. Now, I'm obviously a girl and I really enjoyed it when I saw it with my friend. We both thought that it was a great film and well worth seeing. However, my older teenage brother Rhys saw it with his mate and they both thought it was amazing, 'one of the best films they'd seen in ages'. Nili Rating: 4 out of 5 - A great film with lots of action and funny lines, suitable for teenagers rather than younger children, hence the 15 certificate.